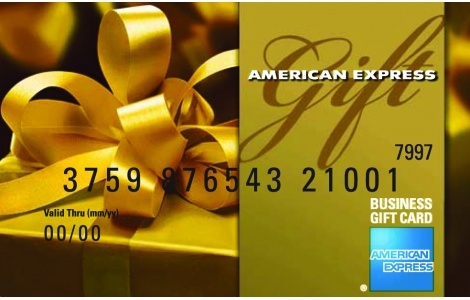 The American Express® Business Gift Card can be used at U.S. merchants that accept American Express® Cards. Funds do not expire. No ATM cash withdrawal. Some limitations apply, including restriction on use at cruise lines or for recurring billing. See Cardholder Agreement for complete details. Card cannot be redeemed for cash, except where required by law. This Card is issued pursuant to a loyalty, reward or other promotional program. Card is issued by American Express Prepaid Card Management Corporation. National Gift Card is the best place for you to order American Express Business Gift Cards in bulk. We are the experts in all things gift cards and can set up your gift card solutions program for you today. Please contact us for more information on American Express bulk, direct-to-recipient, or individual gift card fulfillment for your gift card program. Contact us here or call us at 888-472-8747 today!